The success of Beacon Hill at Eastgate in Grand Rapids, Michigan, since its opening in 2010 prompted the desire to expand its offering of Independent Living apartments and amenities. The community included 114 Independent Living apartments, a Commons building and an adjacent Healthcare building with 36 Assisted Living apartments, 24 Memory Care units, and 29 Skilled Nursing units. The expansion to the residential portion of the project includes 56 Independent Living apartments from a One-Bedroom-One Bath unit with 950 square feet to a Two-Bedroom-Two Bath unit with 1,500 square feet in a four-story building over a single floor of structured parking providing 46 parking spaces. A key area of the expansion was the new dining and common areas, which includes 10,000 square feet devoted to enlarging the current dining room and adding a new dining venue called the Garden Café. It seats close to 40 and offers garden-fresh dishes from Beacon Hill’s award winning executive chef, Timothy England, and his professional culinary team. Exceptional dining is a cornerstone of the philosophy here and differentiates this community from others. The focus is on the joy found in eating beautifully prepared and nutritious meals. Local and fresh food from Michigan is at the heart of what Chef and his staff prepare every day, which helps provide flavorful menu items for the residents. Those fresh products are often higher quality at cheaper prices than a restaurant can get from distributors. A desire to further enhance Beacon Hill’s location within the Eastgate neighborhood prompted the addition of a Center for Arts and Worship as part of the expansion plans. 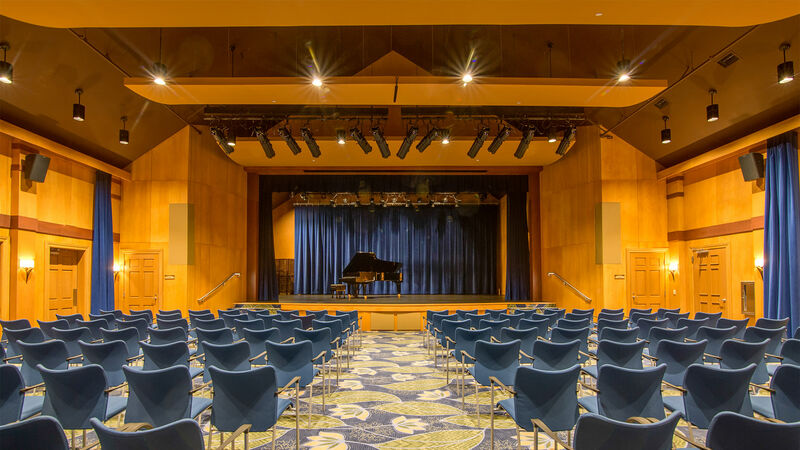 It features a 250-seat auditorium designed for entertainment and faith-based programs and is meant to foster community interaction where local theater groups will be invited to perform and others will be welcome to use the auditorium for various events. The project also includes renovation of the resident Club Room and the Administrative Offices. Site improvements include addition of a second Community Garden, relocation of the outdoor Sports Area, development of a formal Ornamentals Garden, and inclusion of patios and porches surrounding the new Café/Auditorium building with outdoor fireplace and fountains.